The launch window is unchanged, opening at 1:21 a.m. EDT (0521 GMT) and extending for two hours Friday, to put the JCSAT 14 commercial communications satellite into orbit for SKY Perfect JSAT Corp. of Tokyo. 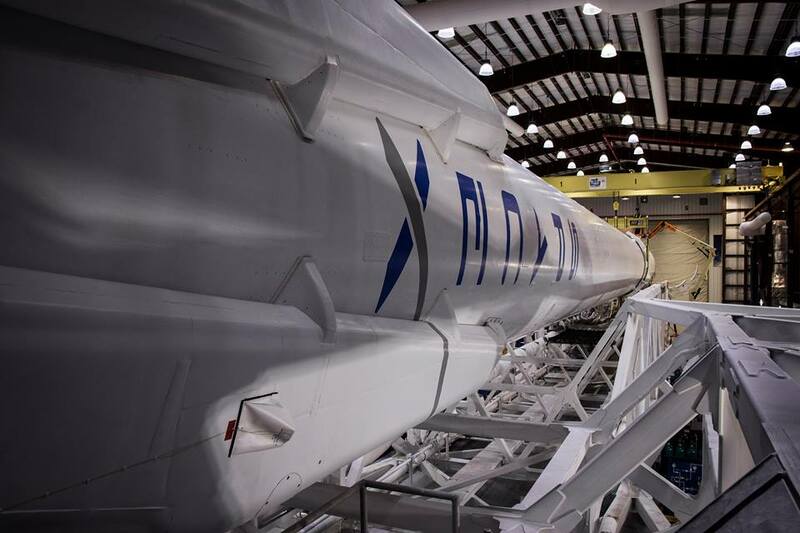 The 229-foot-tall rocket could have been exposed to storms streaming over Central Florida on Wednesday if SpaceX went ahead with a launch attempt Thursday morning. The Falcon 9 will blast off from Cape Canaveral’s seaside Complex 40 launch pad. There is a greater than 90 percent chance of favorable weather during Friday’s launch window, according to the official U.S. Air Force forecast. The only concern is with ground-level winds at Cape Canaveral. Conditions at launch time should be mostly clear with scattered high-level cirrus clouds at 28,000 feet, northwest winds at 12 to 17 mph, and a temperature of 57 degrees Fahrenheit. The launch will mark the Falcon 9’s fourth flight of the year, and the rocket’s 24th launch since its debut in June 2010. 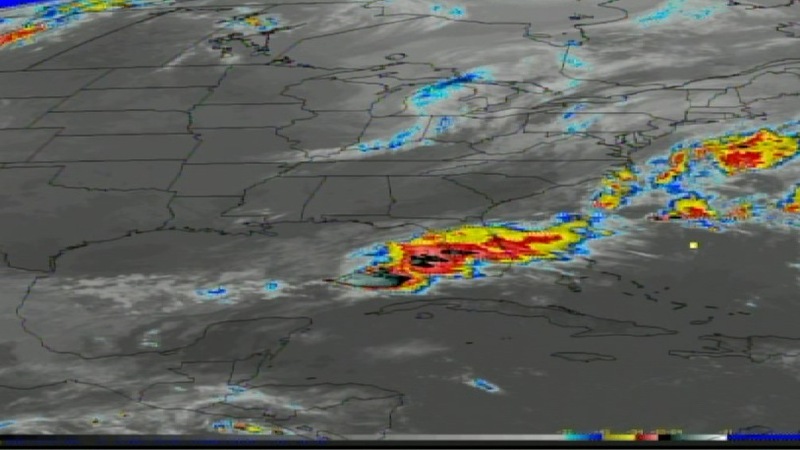 Intense thunderstorms over Florida prevented the Falcon 9 from launching Thursday. The rocket’s second stage will ignite two times before deploying the JCSAT 14 spacecraft in geostationary transfer orbit about 32 minutes after liftoff. 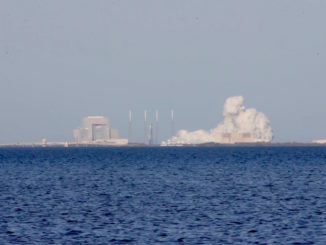 SpaceX hopes to recover the Falcon 9’s first stage on a landing platform in the Atlantic Ocean east of Cape Canaveral, but the company says the recovery attempt is unlikely to succeed due to the high speed required to put the JCSAT 14 satellite into its high-altitude orbit. The landing experiment will further test out SpaceX’s plan for recovering and reusing Falcon 9 first stage boosters. 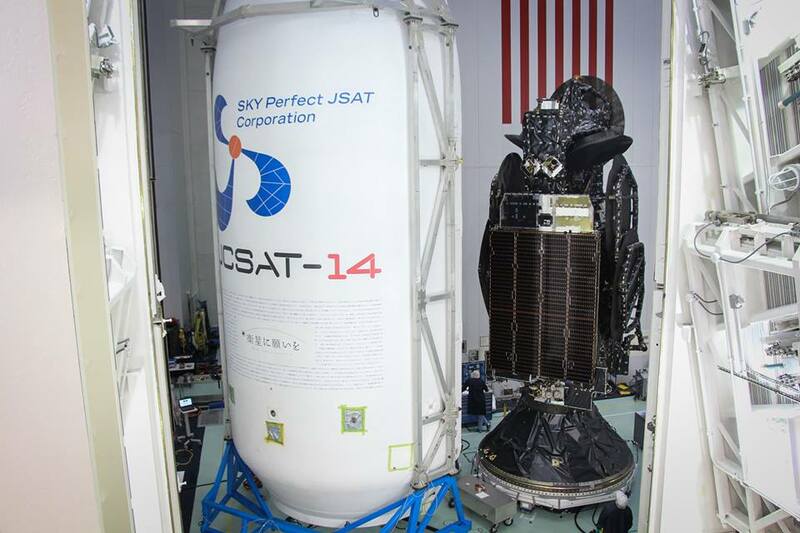 The JCSAT 14 communications satellite, made by Space Systems/Loral, is kicking off a 15-year mission providing television broadcast, data network and broadband Internet services over the Asia-Pacific. 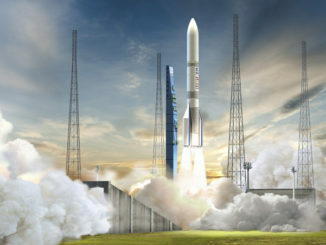 It will extend and replace coverage currently offered by the JCSAT 2A spacecraft launched in 2002 by a European Ariane 4 rocket. The new craft will be renamed JCSAT 2B once it is operational. 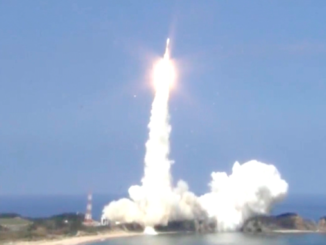 Four satellites for SKY Perfect JSAT have launched from Cape Canaveral before JCSAT 14. The JCSAT 2 communications satellite flew into space aboard a commercial Titan 3 rocket on New Year’s Eve 1989. Lockheed Martin Atlas 2AS rockets took off with three more JCSAT telecom birds in 1995, 1997 and 1999. JCSAT 14 is the first satellite SKY Perfect JSAT has contracted to launch with SpaceX. The Japanese telecom company has two more satellites in final assembly for launches later this year — one aboard a European Ariane 5 rocket and another on Falcon 9.